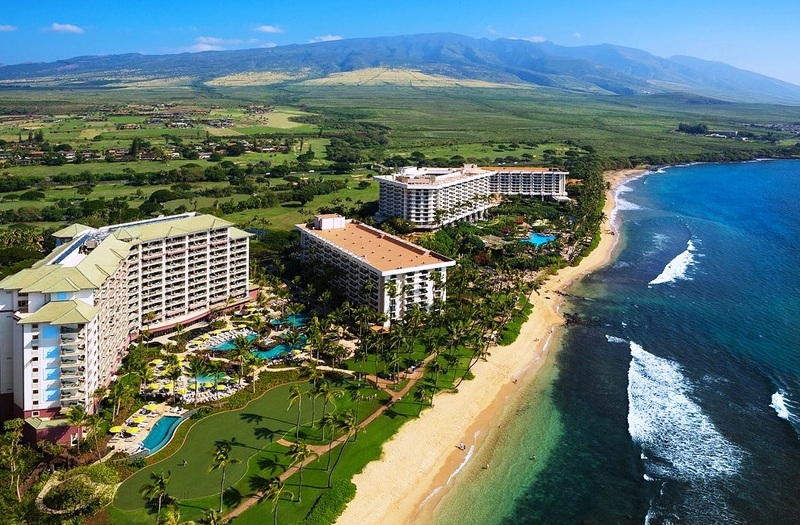 Hawaii timeshare occupancy increased 1.6 percentage points to 91.5 percent during the second quarter of 2018, about 11 percentage points higher than hotel occupancy during the same three-month period. Pacific Business News. An April flood on Kauai and an erupting volcano during May and June on the Big Island didn’t seem to deter timeshare visitors to Hawaii, according to a state report released Wednesday. Star-Advertiser. 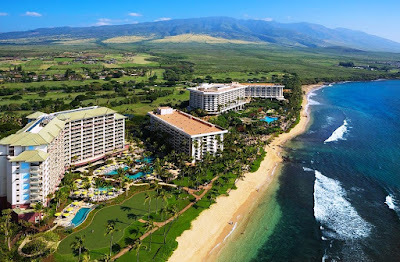 Timeshare properties in the Hawaiian Islands reported an average occupancy rate of 91.5 percent (plus 1.6 percentage points) in the second quarter of 2018, according to the Hawaii Timeshare Quarterly Report: April-June 2018, issued Wednesday by the Hawaii Tourism Authority. Garden Island. Why Aren’t There More Women Judges In Hawaii? Despite calls for more women to seek judgeships, their numbers lag in applications and appointments. Civil Beat. #BeingMicronesian in Hawaii Means Lots Of Online Hate. Even though the islands are made up of diverse languages and cultures, “Micronesians” has become a catch-all term in Hawaii for immigrants from Palau, the Marshall Islands and the Federated States of Micronesia who came here through treaties known as the Compacts of Free Association. Civil Beat. After more than eight hours of divided testimony spread across two days, the Honolulu Planning Commission voted unanimously Wednesday to reject Mayor Kirk Caldwell’s proposed short-term vacation rental bill. Star-Advertiser. City Council advances a bill to let neighborhoods restrict parking. A bill that won tentative approval from the City Council Budget Committee on Wednesday would allow a group of neighbors to petition for a restricted parking zone. Star-Advertiser. Honolulu rail authority files condemnation suit against Kakaako business. But the company is fighting back, saying the rail authority is trying to force them to accept a low-ball offer for their land. Hawaii News Now. Permanent home within reach for tenants of Waianae encampment. Leaders of one of the state's largest homeless encampments say they are getting ready to move. Hawaii News Now. Candidates Vying to Represent Waikiki, Kakaako and Ala Moana at the State Legislature. Only one in three races for the Hawaii State Senate and House of Representatives are being contested by Republicans. Hawaii Public Radio. The cost of a $3.2 million landslide mitigation project in Mililani is being placed on the backs of residents — many of whom don’t live near the two eroding hillsides in question. Civil Beat. Shidler alumnus establishes $100,000 endowment for student leader. University of Hawaii at Manoa Shidler College of Business alumnus Christopher Helm and wife, Debra, have established a $100,000 endowment through the Helm Family Trust for the David Bess Leadership Award. Star-Advertiser. Honolulu airport considered one of the worst in the country. That's according to J.D. Power's annual North America Airport Satisfaction Study, released Wednesday. KHON2. Canine team goes to work at Daniel K. Inouye International Airport. A dedicated team is working daily to make sure all passengers are screened for explosives and explosive materials at Daniel K. Inouye International Airport. Star-Advertiser. TSA highlights working canines at airport security operations. KITV. Honolulu police plan to increase enforcement on roadways in the wake of two separate pedestrian fatalities that occurred within minutes of one another Tuesday night. Star-Advertiser. $35M Hurricane Lane hits council budget plans. Two Kona road projects and an express Kona-Hilo bus route face delays because of new expenses created by Hurricane Lane. West Hawaii Today. The Hawaii County Council bill that would have required local government to be “accurate and factual” was taken off the table on Wednesday. Big Island Video News. State looks for alternative boat ramp sites. The fate of the Pohoiki boat ramp is uncertain after the Kilauea volcano eruption in lower Puna. Tribune-Herald. $96M Keahuolu Courthouse taking shape. The Keahuolu Courthouse is taking shape, but Kona’s first centralized judiciary complex remains about a year away from the gavel striking the block. West Hawaii Today. Flood Insurance Meetings to Be Held in Hilo, Kona. Big Island Now. A supervisor for BEI Hawaii in Hilo who suffered lung injuries as a result of a chlorine gas leak at the facility two years ago is suing the county and state for negligence, claiming response to the leak was inadequate. Tribune-Herald. Maui County Council members are asking for $3 million to help repair a road destroyed during Tropical Storm Lane's heavy rains. Hawaii News Now. Residents are still unhappy with Piilani Promenade plans. Developer offers ‘snapshot’ of project at community meeting. Maui News. A former Maui County Public Works Department supervisor was ordered to pay a $1,500 fine after he pleaded no contest to a misdemeanor theft charge involving a subordinate employee’s unrecorded vacation time. Maui News. Maui seems to be getting a handle on its homeless population, but finding affordable rentals is still the main problem, whether you’re on the street yet or not. A recent study concluded Maui will need 14,000 more housing units by 2025. Hawaii Public Radio. A week after Olivia, West Maui is still cleaning up — and assessing the damage. Hawaii News Now. Developers: Coco Palms project back on track. Developer Tyler Greene said Wednesday that with legal disputes behind them, the project to rebuild the Coco Palms Resort is moving forward with an estimated completion date of late next year. Garden Island. County calls for DOE audit. The proposed constitutional amendment that would add a surcharge on investment real property to fund public education in Hawaii if approved by voters Nov. 6 would have dire consequences, say Maui County leaders. Garden Island. Kauai dentist sentenced for insurance fraud. State Circuit Judge Kathleen Watanabe sentenced Dr. Terry Allen to a four-year term of deferral and ordered to pay restitution in the amount of $20,878.86 to Hawaii Medical Services Association. KHON2. Sharing resources for health. Students descended on Kauai War Memorial Convention Hall for the county’s annual Health and Wellness Fair. More than 40 vendors provided information and premium giveaways to guests. Garden Island.